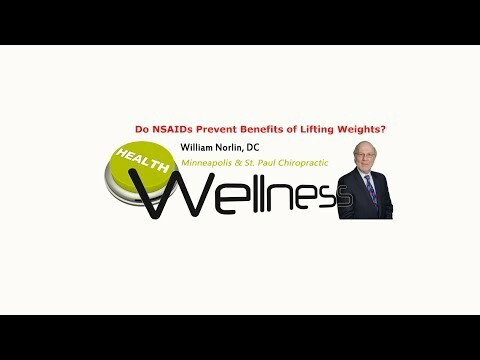 Chiropractor Minneapolis St. Paul – Do NSAIDs Prevent Benefits of Lifting Weights? The chemicals in your body that can cause muscle soreness are the same chemicals your body produces to heal damaged tissue, and strengthen them along with strengthening bone. The ibuprofen and other non-steroidal pain medicines (NSAIDS) many people take immediately after workouts, are taken in hopes of decreasing this next-day muscle soreness. Watch this video right now to find out why this may lead to osteoporosis. Click the Red More Button in your email or the image below if you are on our website.